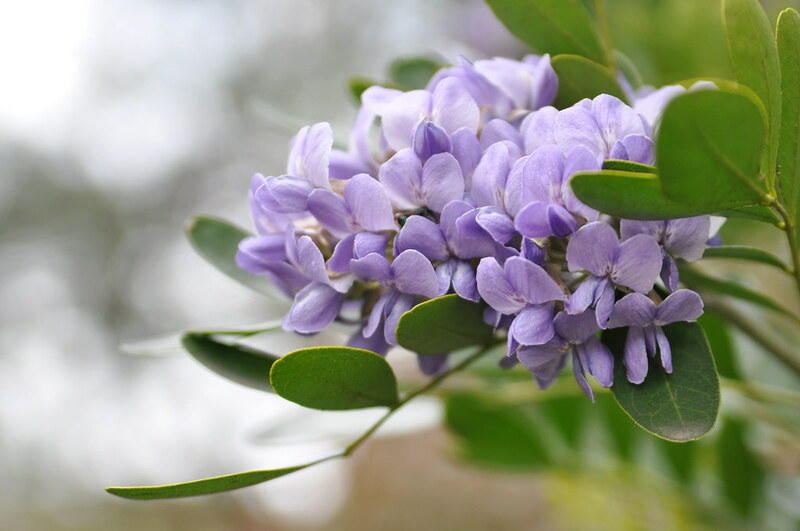 I was very surprised to find out the name, Texas mountain laurel or Sophora secundiflora. Quite different from the Mountain laurel (Kalmia latifolia) up north. . . . Although the plants look completely different, they share a characteristic: both are poisonous! Great weekend, everyone. . . . 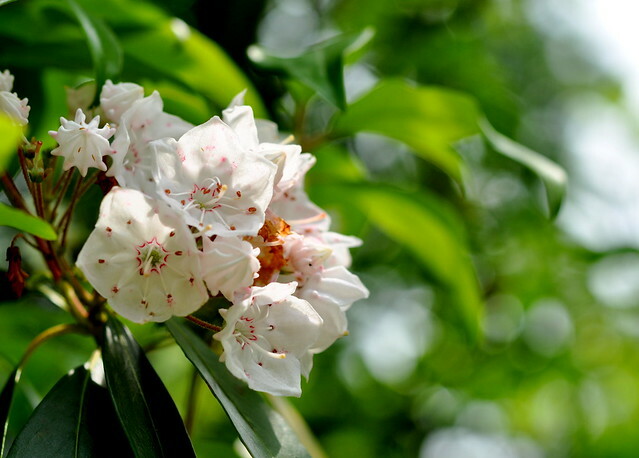 This entry was posted in photography and tagged bokeh, Kalmia latifolia, mountain laurel, Sophora secundiflora, Texas mountain laurel. Bookmark the permalink. 91 degrees! How did your body not go into shock? It was pretty strange! Luckily we had looked at the forecast and brought warm-weather clothes. It was so nice to be outdoors and warm at night, though. The weather turned cooler the next day, so it all worked out. These are lovely, I thought it was lilac at first. We had a really hot day today. Two weeks a ago we still had minus15°C and to day almost + 20°. It’s weird. This has been the weirdest winter I’ve experienced on the East Coast. Not a snowstorm to speak of. Those flowers are so beautiful. Do you know the name of the first flower? It’s so beautiful. It’s actually called Texas mountain laurel. I would have never guessed that both of these flowers go by a common name. They’re so different. My preference is the blue-violet flower in the first pic. The color is so vibrant. I love it too and wish it would grow up here. Is the bottom one the laurel from up North? I like the blue one better. Yes, the one on the bottom is from the North. I like the blue-violet too.